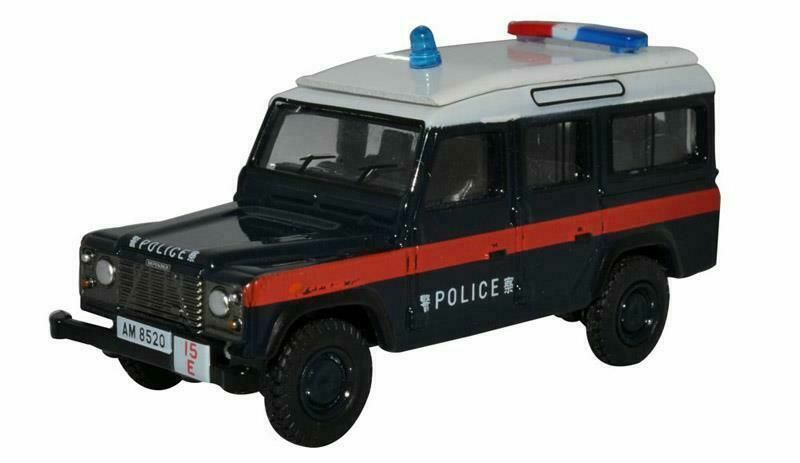 A 1:76 scale long wheelbase Defender in Police livery from Hong Kong. The body is dark blue with a red central stripe and a white masked roof. The roof has a red, white and blue light bar at the back and a blue beacon at the front of the roof. Police markings on the front, sides and back are also repeated in Chinese. The registration plate reads AM 8520 with an adjacent red and white plate reading 15E.